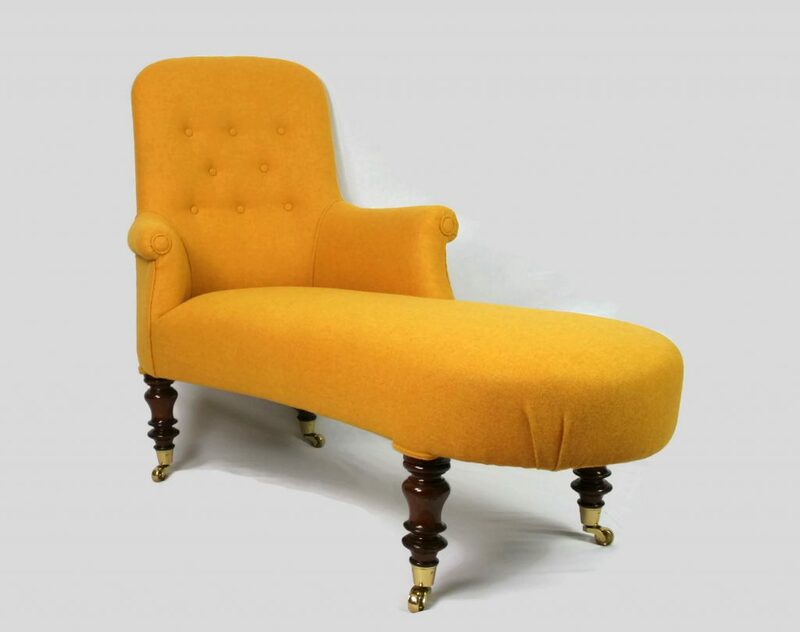 Chaise Longue rescued from a barn in Cornwall and looking very sad with wonky legs, a wobbly frame and sprung springs! Not any better up top either which detached en route to Salisbury! 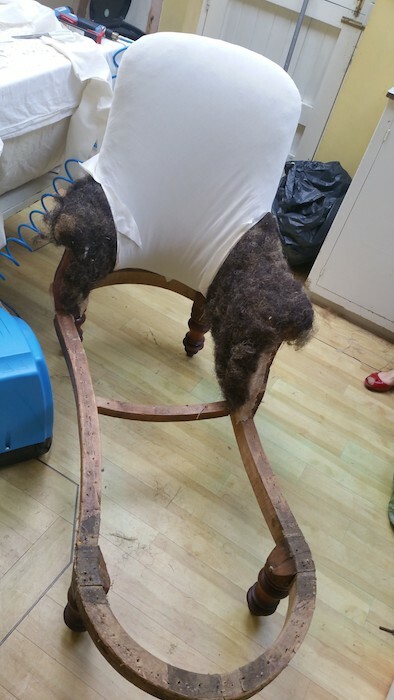 Time to commence stripping fabric. It was clear when we stripped the piece that a total rebuild was required. Gulp! 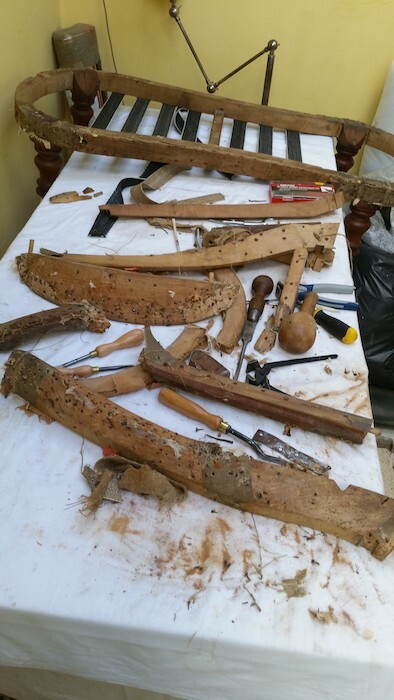 After hours of hand crafting new hard wood pieces, re-dowelling and aligning it was time for the glue up. We also stripped and partially repolished the legs. Quite exciting really as the beautiful shape begins to again take form. 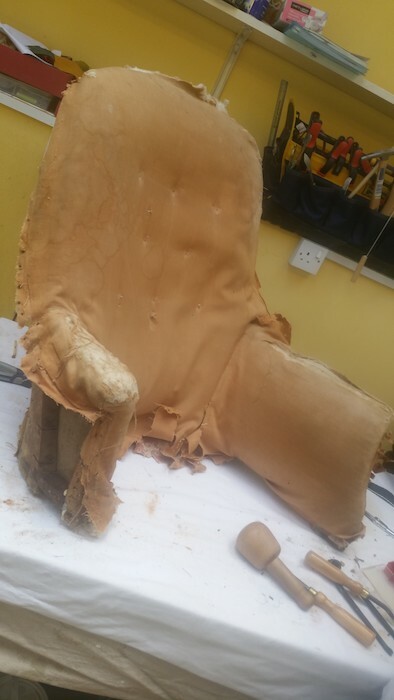 Starting to put flesh on the bone – hessian, horsehair and calico. 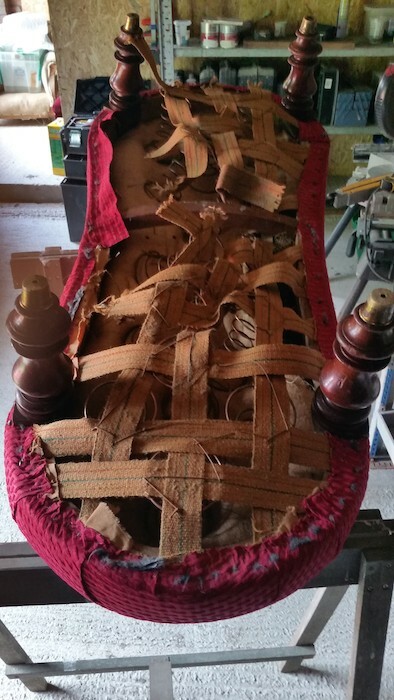 Next working on the seat – Webbing and springs fitted. 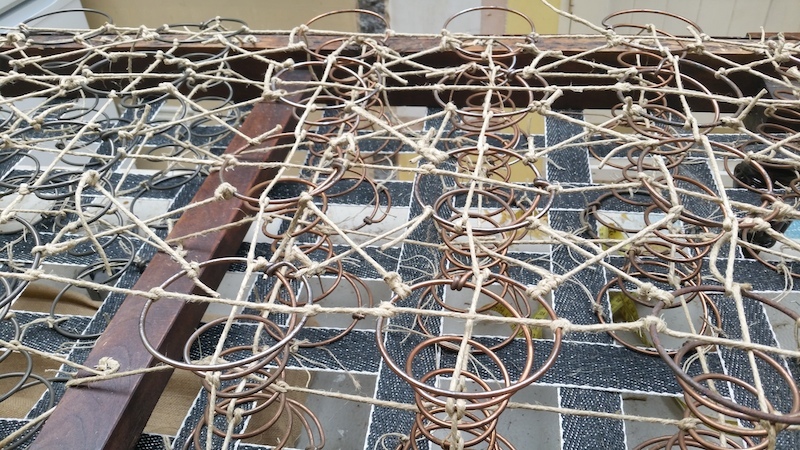 Each of 16 springs is securely hand tied to the webbing before being lashed together. 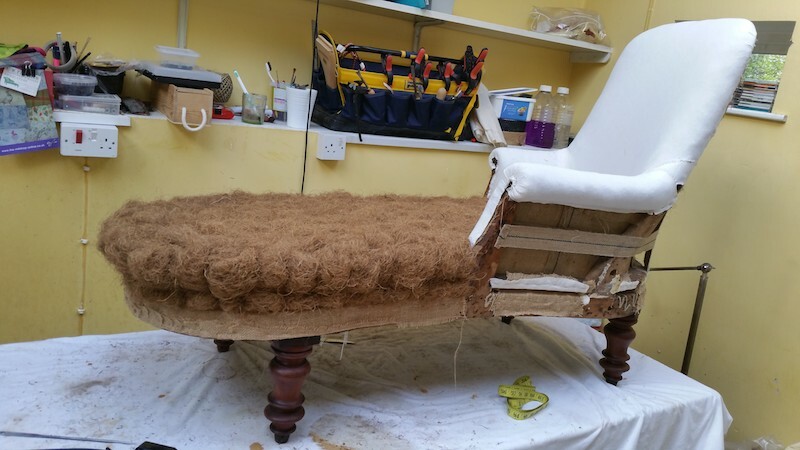 After application of hessian, the seat is starting to be built up and shaped. 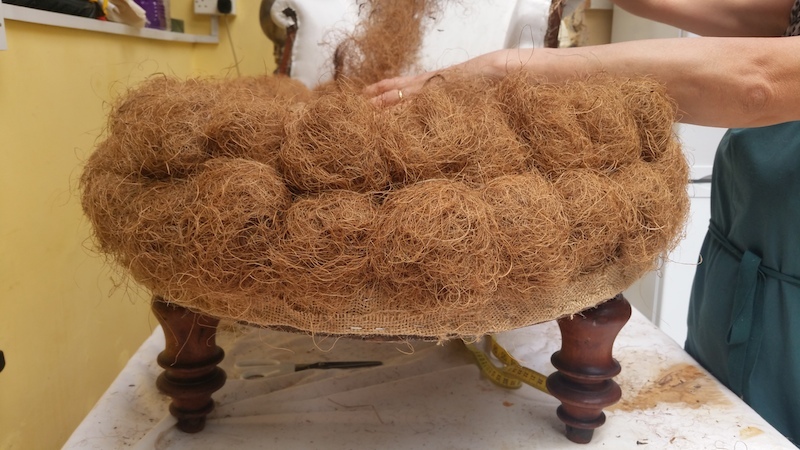 Balls of ginger fibre are tied in loops to the hessian in the traditional way. Just about there! 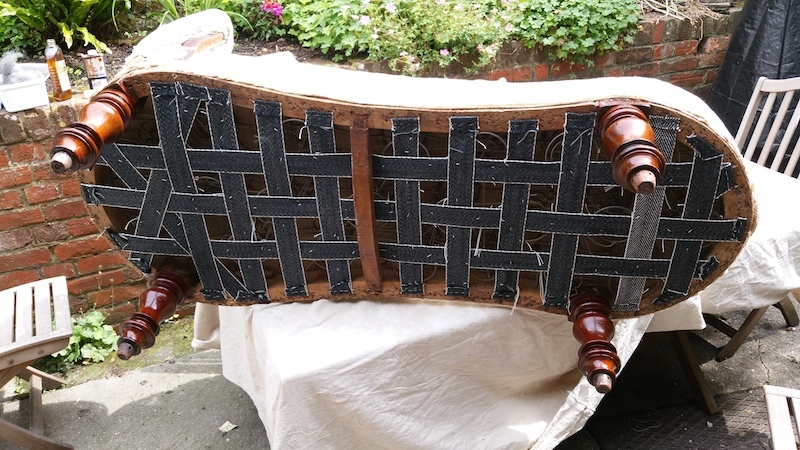 Ready now to apply a binding top layer of hessian and begin hand stitching into place. 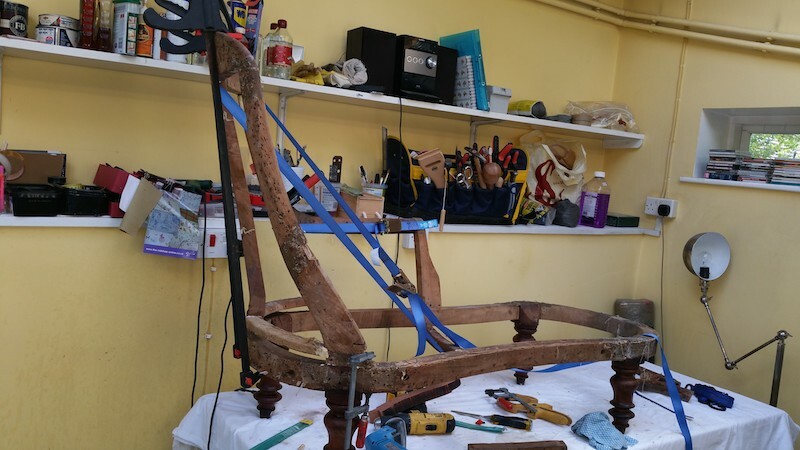 This critical, painstaking process is the one that gives the seat its ultimate shape. 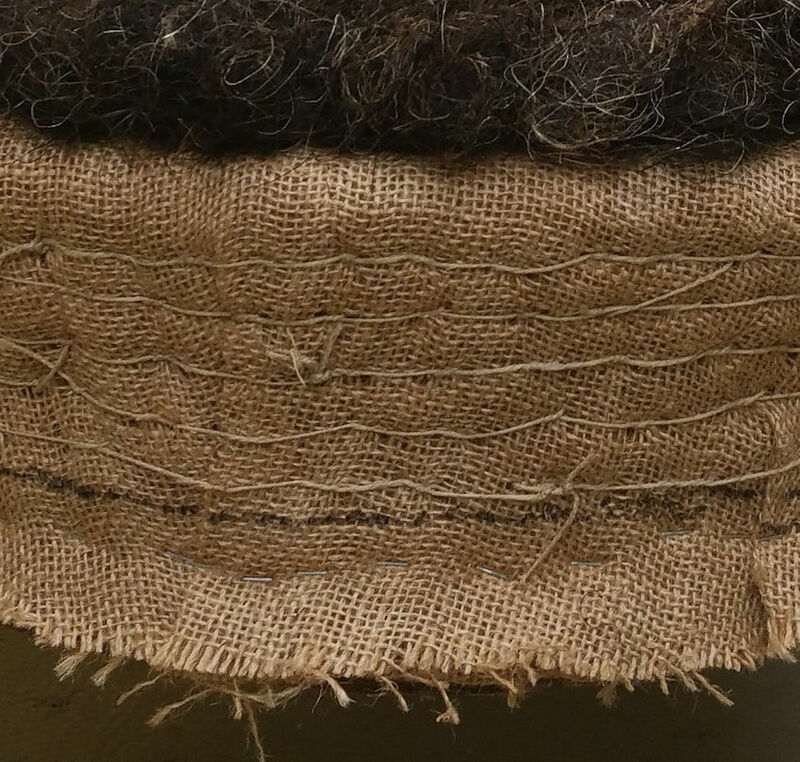 Several rows of stitches are made to adjust and pull the shape in. 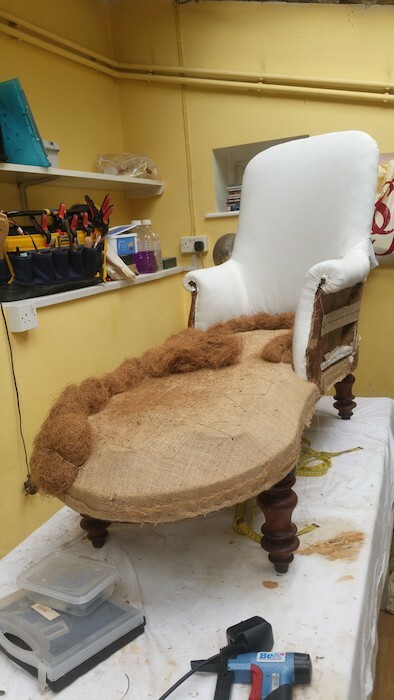 Once the seat is formed another layer of horsehair adds softness over the firm base. 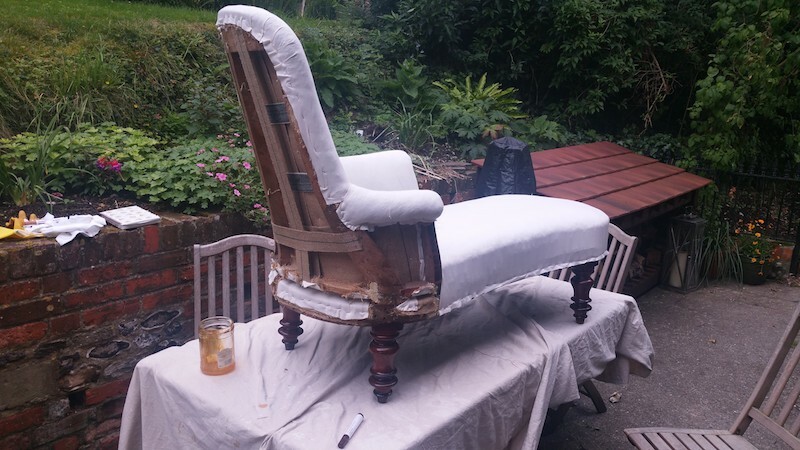 Following yet more layers, this time calico and woolsafe, the piece is almost ready for the top fabric….but not quite! Ta dah! 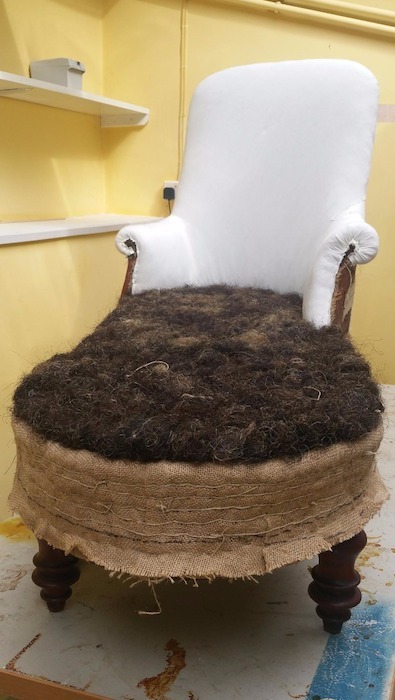 Castors fitted and wonderful Harris Tweed applied with buttons and hand sewn piping throughout. It looks simply stunning and raring to go……for the next 200 years! Another successful mission completed by the Hare (DCO)! 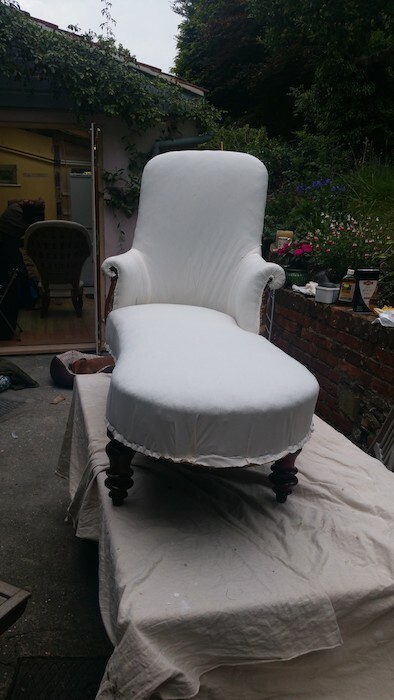 From our base in Salisbury , Wiltshire, we offer our Upholstery and Antique Chair Restoration across the South of England form London TO Somerset & everywhere between including Hampshire, Dorset, Bath, Somerset, Sussex & Berkshire.